When should senior citizens purchase an annuity? Sometimes purchasing an annuity is the best option for senior citizens (or someone in the late 50s) and sometimes it is the worst decision. This is a discussion on when to buy an annuity and when not to buy (at least immediately upon retirement). An annuity or a pension product is one in which a lump sum is given to an insurer like the LIC in exchange for monthly pension. Typically this pension is constant or at best increases 3% each year (the same as govt salary increments!). There are various options like a pension to spouse upon the death of the annuitant or return of the corpus used to generate the corpus etc. The annuity rate or the return offered by the insurer for the corpus depends on the age of the annuitant the option chosen upon his/her death. Typically, older the person, better the rate. Typically, when the insurer gets to keep the corpus, the rate is higher! For a young person, far away from retirement, a pension product or a deferred annuity product is a terrible choice. Here is why you should stay away from pension plans. However, for a middle-aged person close to normal retirement (say 60), the decision to buy an annuity depends on the corpus that they have the kind of pension they are already eligible to get (mandatory annuities). Via an illustration and a calculator, let us discuss the titular question. The core of this calculator is the same as the checklist and calculator for early retirement in India. For budding early retirees, I proposed a 3-bucket strategy (first 15 years, middle 15 years and last 15 years in retirement). For normal retirement (at 60, say), I propose a 2-bucket strategy (first 15 years and last 15 years, that is up to about age 90) to decide on the annuity purchase. 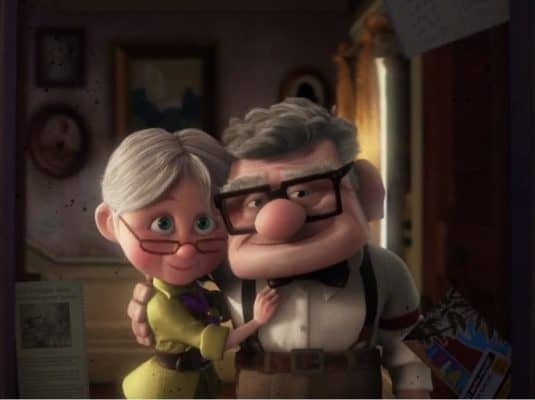 Carl and Ellie are both aged 60 (convenient!). They need about Rs. 5 Lakh to manage their expenses. Assuming they have a nice fat emergency fund and this Rs. 5 Lakh includes their health insurance premium, let us now evaluate their retirement plan. For the purpose of illustration, we will set the volatility free, post-tax interest rate as 6% throughout the retirement period (age 60-90). Easy to criticise this, easier to set variable rates in an Excel, but difficult to predict how rates will pan out in future. We need to be conservative and pray for luck. Considering that Carl are Ellie are in the 10% slab, and likely to remain so for the remainder of their lives, I am happy about working with 6%. The rate at which the pension or annuity is going to increase is set to 8%. Again easy to argue that real life inflation is above that, but it is not practical to set the inflation or indexation rate any higher. The couple has a constant pension of Rs. 3L per year. So about 60% of expenses in the first couple of years can be met with this pension. This is also included for calculating retirement corpus necessary. In order to meet the expenses (increasing at 8%) after accounting for the pension, from age 60 to age 75, Rs. 54.9L is necessary. This amount could simply be put in a mixture of debt funds or one could create a fixed depositincome ladder, which maybe better since the couple is in the 10% slab. Similarly, with 8% inflation indexation and 6% post-tax, volatility free return from age 76 to 90, the couple would need about 2.4 Cr! The pension received is also accounted for. Thankfully, they need this 2.4 Cr only 15 years from now. So if they invest about Rs. 57.7 lakhs in a portfolio which could offer 10% XIRR after taxes (possible with about 60% equity), they could achieve this 2.4 Cr. So the total corpus required at age 60 is, Rs. 54.9 L (for first 15 years) + 57.7 L (to be invested for 15years) ~ 1.1 Cr. What are the chances that a couple in the 10% slab would have such a corpus? If they do have a sum close to 1 Cr, they need not purchase an annuity (constant pension, which will not increase to match inflation). If they have a sum much less than 1 Cr, they cannot afford the luxury of investing about 30% of their corpus in equity as in the above illustration. A poor sequence of returns from equity will destroy their retirement. The whole point of this post is, when to purchase an annuity and when not to. Case 2: Carl and Ellie have a corpus of Rs. 60L or less. If 54.9L is used to produced indexed pension for the first 15 years, the remaining sum must grow at 29% (call this target return) for 15 years to grow to 57.7L. Obviously this is silly. Verdict: buy annuity! Case 8: Any corpus above 97L, don’t buy an annuity at least immediately. As long as able, manage the portfolio to generate inflation protected income. Thus, unless the couple has a portfolio which is 85% or higher than that required to generate inflation protected income, buy an annuity is better than investing part of the corpus in equity and taking a chance. If you wish to generate an indexed pension and manage your money professionally, there is the real danger of your advisor setting too large a return for equity and therefore for the entire portfolio. Seek out a fee-only planner (no product commissions), pay for Financial Advice, but Insist on Direct Mutual Fund Plans. Evaluate the advice given to check if it is practical. Do not implement unless you are absolutely comfortable. One wrong move in retirement would be disastrous. I am not sure I understand the strategy fully. If corpus is less than a target amount, say 97L (according to you), one should invest in Annuity. But annuities are known to give even lesser returns than what you can manage from other well known debt instruments. So, how is that gonna solve our problem? That would actually exacerbate the problem. If we do not have the required 1.1 crore corpus to afford a 5 crore per year expense increasing at 8% per year, then the simple solution is to reduce the expense to whatever amount our retirement corpus can support for the next 30 years. This is called living within your means. I don’t think annuity is the answer atleast until we have indexed annuities growing @ 8% pa in India. ” simple solution is to reduce the expense to whatever amount our retirement corpus can support for the next 30 years” This is not within our control. When inflation is high, wherever you invest, the principal will being to reduce after a few years. Giving rise to a even greater problem than lower interest rates. Taking risk may well hasten that process. An annuity prevents that. There is no way annuities are going back to 8%.